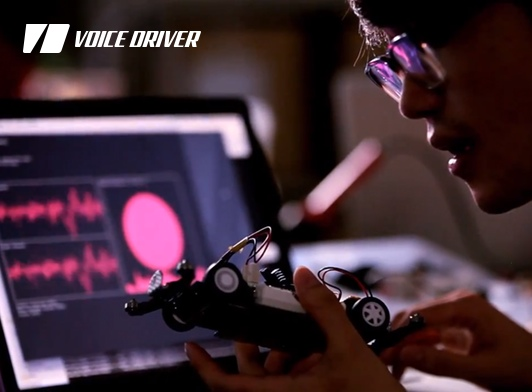 World’s first voice-controlled car race! Based on the concept of bringing the excitement of motor sport to everybody, VOICE DRIVER is the world’s first motor sport allowing people to drive a car with their voice. As a member of the project team, KAYAC Inc. has involved in creation of the website, development of a voice-controlled car system, painting, and course designing. 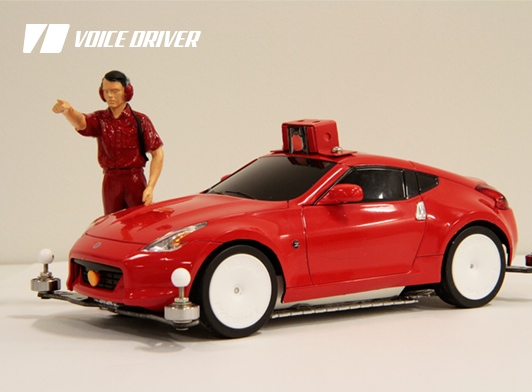 A car runs as follows: When a person shouts at the iPhone microphone, the Nissan Fairlady Z detects it and a gas pedal is pressed on. The car runs through the 60-meter race track. The speed changes according to the vocal volume. Participants compete with those on other lanes. 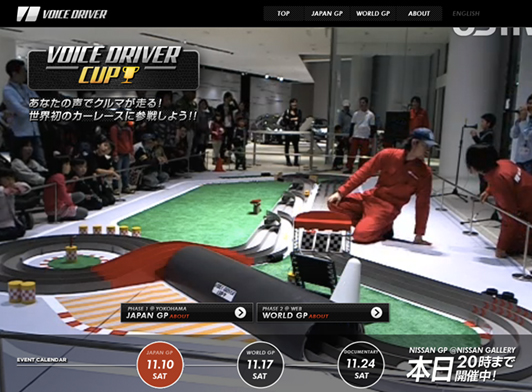 In this campaign, the race grand prix VOICE DRIVER CUP is held in two sessions. The first session is held on November 10, 2012 (Sat.) at the Nissan Global Headquarters Gallery in Yokohama. A race track is installed at a special site where visitors can enjoy voice-controlled car driving. The second session, World Grand Prix, is held on November 17, 2012 (Sat.) on the website. Anybody on the web can participate in the limited 24-hour race. Participants compete through microphones on their own PCs, remotely controlling cars at the special site. This project is designed to realize the dream that many people had dreamed of, and allow people all over the world to enjoy it. It was a new challenge, making the most of KAYAC’s unique ideas and technologies.